Pain—especially intractable or chronic pain—previously was something many patients simply had to learn to “live” with. This was unfortunate because untreated pain can interfere with the healing process by affecting the immune system and leading to other undesirable results. In recent years, however, we have learned a great deal about pain and its physiological basis, leading to pain management treatments that can provide complete or partial pain relief. Dr. Eric H. Williams plays a certain role when it comes to pain management by searching for surgically treatable causes of pain he can fix. It is important to understand that this particular medical field is best handled in a multidisciplinary, team approach. Let’s look at why this is important and some potential treatment options that will help you find relief from the pain you’ve been experiencing. Patients who report continuing pain in the absence of a definitive pathology (an identifiable, anatomical cause of the pain) are sometimes dismissed by health professionals. 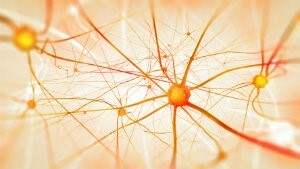 Even in the absence of such an identifiable cause, however, chronic pain can lead to neurological feedback processes that only serve to worsen the pain and make it more difficult to treat! The first step in pain management is scheduling an appointment with your treating physician to determine the cause of your pain, and learn which pain management approach is typically the most effective for it. Pharmacologic Pain Management - Pain relievers and related drugs are used at every stage of the medical treatment of back pain, from the initial onset of acute pain to facilitation of rehabilitation, treatment of chronic back pain and alleviation of pain in cases of failed back surgery. The most common noninvasive pharmacologic treatments for chronic back pain include analgesics, nonsteroidal anti-inflammatory drugs (NSAIDs), muscle relaxants, and narcotic medications. Exercise - Physical exertion with the aim of increasing strength, increasing flexibility, and restoring normal motion. This can include the McKenzie method, water therapy, stretching exercises, aerobic routines and many others. It may involve active, passive and resistive elements. Exercise is necessary for proper cardiovascular health, disc nutrition and musculoskeletal health. Manual Techniques (Massage Therapy) - Manipulation of affected areas by applying force to the joints, muscles, and ligaments. Some evidence for the effectiveness of certain techniques is available. Temperature Therapy - These pain management methods include cold packs and hot packs, ultrasound, and diathermy and should be used in conjunction with exercise. It is well-documented that symptoms of conditions causing nerve pain can be relieved by peripheral nerve reconstruction or decompression. In the case of compressed nerves, once Dr. Williams has identified affected nerves causing the problem, he will cut the appropriate anatomical structures overlying the nerve. Releasing tight fascial bands, tissues, or vessels pressing on the nerve allows a more normal nerve function and regeneration, along with subsequent reduction or even elimination of nerve pain. It is important to note that in some cases of advanced neuropathy or nerve damage, surgery may fail to reverse pre-operative conditions that are causing pain, which demonstrates why timely intervention is so important when nerve surgery is used as a form of pain management. If you are experiencing pain from nerve damage or compression, Dr. Williams may be able to help. He has provided expert surgical help to numerous patients who find relief from pain, so contact our Baltimore office today and find out if Dr. Williams can possibly do the same for you. Give us a call at (410) 709-3868 or contact us online and one of our friendly staff members will be glad to assist.